These new style headphones are real portable. They are quite light weight and appear to be much attractive as well. This headphone has a unique feature naming “vertical in the ear” having a large driver for higher quality audio. This high-end Sony MDR-EX300LP has also some limitations. The headphone may not appear to be perfect for the bass-addict music lovers. Besides, the model offers only 3 sizes of ear tips that may not fit into all ears. The soft case of the ear phones is also delicate to handle. These headphones are also not much good for long usage. Price range for this product is $49.27 – $67.02. We need the headphones constantly at various occasions these days. And we prefer the light weight headphones mostly as we can carry them everywhere. Sony MDR-EX300LP headphones are exactly the same models that the generation look for today. This headphone is best use for chamber music, symphonic, vocal music, jazz and American songbook. The Sony MDR-EX300LP headphones are the right choice when you are travelling and listening to music. These light weight headphones look attractive and come in two different colors. Cords of Sony MDR-EX300LP are other special features of these headphones. The unique earbuds consist of removable hybrid silicone rubber tips. These rubber tips come in three different sizes and provide you with high quality audio experience. A rigid internal silicone is built in this headphone to prevent sound leakage successfully. Many of the users leave warm comments on the sound quality and the comfortable listening experience with these Sony MDR-EX300LP headphones. However, many of them is also of the opinion that device loses clarity at low dB. The low mids also get somewhat muddy with this headphone. The Sony MDR-EX300LP headphones are mostly use and throw sets. You can use them mostly for three to six months if used extensively. The headphones are quite solid and boast of an interesting shape that gives a unique touch to it. The superior isolation score makes sure the active noise cancellation technology works really well. It is one of the most economical active-cancellers available in the market. The audio quality could have been better. The pendant is not located at a strategic place which robs off the comfort factor to a considerable extent. The Panasonic RP-HC55 headphones promise decent audio experience along with durability and comfort. The active noise cancellation is, probably, its most remarkable feature. The long battery life makes it a sensible choice to go for. The Panasonic RP-HC55 boasts of boxy ear buds while the nozzle is angular. The angled nozzle helps in letting the ear buds stay in the ear instead of popping out. The headphones are high on durability. The cord guards effectively do the job of stopping the cable from unnecessary bending. The active cancellation feature is something that makes it stand apart from the rest. It works really well so that the headphones prove to be successful in shielding you from all kinds of outside noises. The isolation enables you to listen to your favorite tracks smoothly while commuting to work on crowded trains and buses. One of the most promising aspects of the Panasonic RP-HC55 headphones is its remarkably long battery life. One AAA promises around 110 hours of non-stop music. That adds up to almost four and a half days of continuous music. You get the customary large, medium and small soft plastic sleeves with the headphones along with a neck split that can be adjusted according to your convenience. 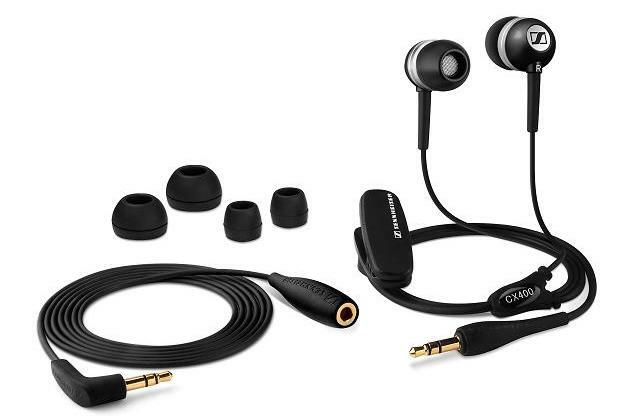 Moreover, it does help that these headphones come at a surprisingly economical price range of $60 – $70. The audio quality, however, is just about average. The frequency response is not up to the mark. Also, the control pendant is a bit of a bother. Along with making the headphones heavier, they look awkward when you wear them. The Snugfit silicone dual flange ear tips easily fit into your ears thereby ensuring great noise isolation as well as superior comfort. The inline remote along with the built-in mic makes it a more convenient experience. Though the audio quality is quite impressive, it still cannot be regarded as the best. There is room for improvement. The price of Altec Lansing MZX606 Muzx is $100. The single balanced armature technology promises professional sound engineering so that you get a rich audio experience. The silicone tips make sure it easily adjusts to any ear. 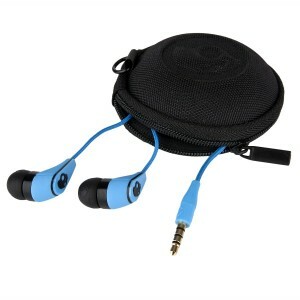 It is easily compatible with iPhone, iPad, iPod and MP3 Players. The Altec Lansing MZX606 Muzx ear-buds are amazing on the design front. They look classy enough to catch everyone’s attention instantly. However, Altec’s designers make sure they do not compromise on durability by only concentrating on aesthetics. As a result, you get an input jack that is thick as well as solid, a glossed cable that is difficult to tangle and a remote that is hardy enough to weather many storms. The bracing system is done in such a manner that you can easily avoid unnecessary bends. There is more to offer in terms of design. Friction noise is minimized to a great extent by the unique cord design. Moreover, the Snugfit design delivers great comfort on one hand and superior passive noise isolation on the other. The Altec Lansing MZX606 Muzx ear-buds are packaged beautifully in a plastic tray. They also offer a number of accessories such as a black pouch for storing the ear-buds comfortably and two pairs of additional attachable buds. While traveling, you can carry the pouch with you in order to prevent damage to the ear-buds. There is also an instruction brochure to help you out with the mechanism. Because of the mic and inline remote, you can easily control compatible iPod, iPad and iPhone models. The same holds true for other MP3 players. 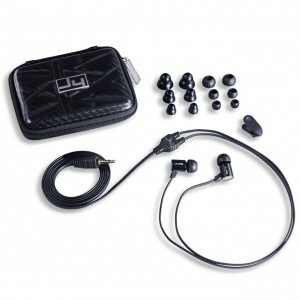 It promises superior audio experience what with the oval tips providing a finer seal. 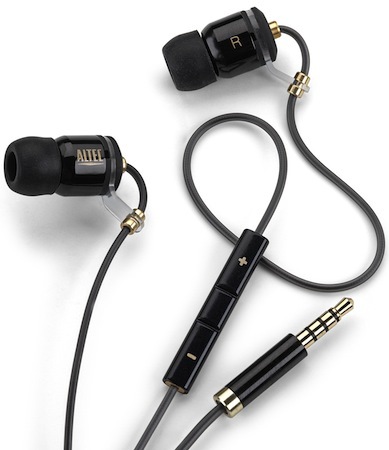 The Altec Lansing MZX606 Muzx ear-buds come at a price of $100 which is a bit steep considering the variety of ear-buds that are available in the market today at a comparatively lesser price. Get both style and durability in one pair of ear buds! 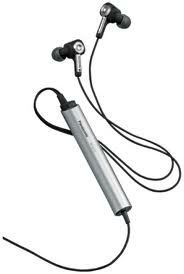 The product comes in two variants, Sennheiser CX 400 Precision White and Titanium, and makes one of the most durable such devices. 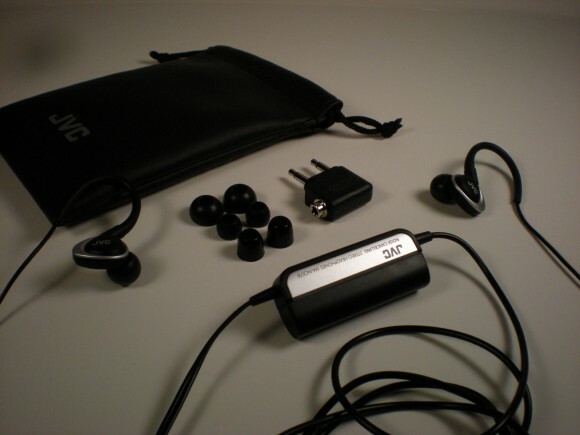 No distortions cover the music users listen to when using these ear buds and they also include an extra kit. Although quite comfortable to wear, the ear buds are not properly sized and the isolation feature does not function at maximum capacity. More than that, the cord is quite short, which leads to having the ear buds falling out of the ear and the bass is too prominent. The Sennheiser CX-400 ear buds have an attractive design and provide superior details reproduction for a wide musical range and a precise dynamic. They are able to maximize the quality of portable music players used and they include a volume control on the cable for increased comfort when listening to music. Perfect ear buds for the cost! 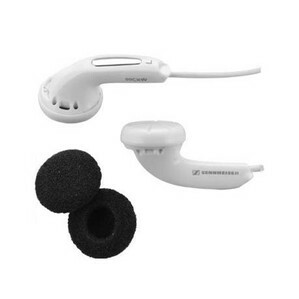 Sennheiser CX400 Precision is ear buds of high quality with Neodymium magnets adapted for a natural sound. They come with impressionable comfort levels due to the perfect ear fixation technology based on an aural adaptors set that also makes a good job when it comes to noise isolation. The Sennheiser CX 400 headphones bring something innovative as the manufacturer positioned a volume controller on the cable, which gives users more freedom. They have a symmetric cable and various accessories included and the device is perfectly compatible with a wide range of music players. While Sennheiser CX 400 earbuds can provide great low and high frequencies reproduction and is a light and small product, one might prefer buying Sennheiser CX 500. Inexpensive stereo headphones with a elastomer hanger. Inexpensive and easy to find. Average sound quality that doesn't make the top end unlistenable. Clean across the board, but could use some meat in the lower midrange and upper bass. Very comfortable to wear when working out. 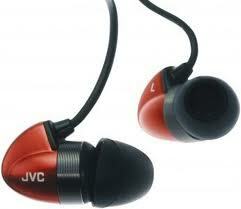 Not as good as the $10 JVC HA-F120s. Bass could use some meat. The elastomer clips are comfortable but why couldn't they fit from the rear and not be visible. Better options are only $20 more. An average pair of headphones that won't give you a headache, but won't give you musical orgasms either. Rather comfortable and easy to travel with. Cable is thick, long, and unlikely to rip. 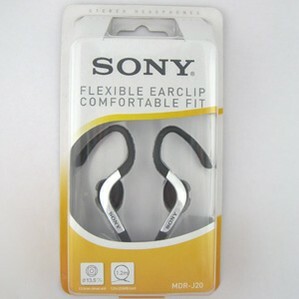 Comfortable inexpensive headphones from Sony that don't sound bad and stay in place in the gym. Sony is a company on a mission. It is trying very hard to regain the powerful position that it once held. Something foul took hold of the electronics giant and distracted it from its core; designing the best and most innovative audio/video products in the world. For many people, the Sony brand always represented the best of the best. You were “somebody” if you could afford the top television or stereo component from the “one and only”. That really has not been the case for many years. Sony has been pummeled by Samsung, Panasonic, and Pioneer in the world of home video. It has been beaten to a pulp by Apple and other portable media device makers, and the importance of that should not be lost on people. Sony invented the world of portable audio and has been struggling to catch up ever since. As a kid, I owned more than my fair share of headphones. My family worked in radio for almost three decades, so more than a few pairs of studio cans were liberated and brought home. AKG and Koss were my brands as a kid, and I still really enjoy my AKG K 601s. Sony made decent headphones, but they were never really my preferred brand. To its credit, Sony has not sat on its hands during the iPod-era and has expanded its headphone line-up to over 70 models, many of which are very listenable. They do face some rather stiff competition from Sennheiser, Grado, AKG, Bose, and others, but the number of Sony headphones being sold is rather substantial. At the entry-level, Sony has a number of good models such as the MDR-J20 that serve their purpose quite well; Easy to wear for extended periods of time, well-made, and easy to travel with. Sonically, the MDR-J20 are a tad bright on top, but not enough to kill a recommendation. The midrange is rather warm, almost pleasantly so. Sam Cooke’s voice on “Lost and Looking” was full of the soul that made Sam the great singer that he was, and I could handle the sound for long durations. I did not find these headphones to be fatiguing at all. The bass was somewhat thin while listening to the Who, which was disappointing, but I will take thin over bloated any day of the week. My recent favorites, the JVC HA-F120, were more to my liking on almost every track, which only reinforces my feelings towards them. 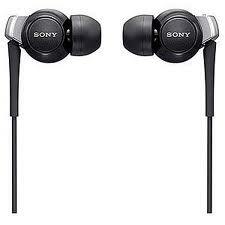 The Sony are decent for $20, but no giant killers.